Here is the condensed version of Sabrina’s “Tending to Your Trees” presentation. Thanks Sabrina for sharing! Grass to Garden in 8 Easy Steps! Choose your Space – Consider location, snow piles, dog’s peeing, ease of mowing, postman paths and kid routes. 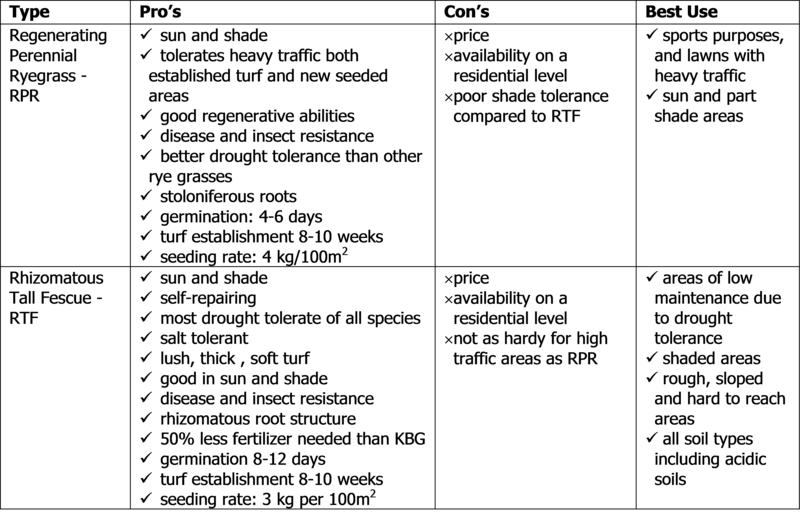 Utilities Check – Ontario One Call! Amend the Soil – Compost made from yard waste/ vegetative matter is the best! Choose your Plants – Consider hydrozones, choose non-invasive (watching out for “spreads easily” on the plant tag), use some native plants, shrubs are a must have and VERY low maintenance, look for drought tolerant, hardy perennials. Efficient Irrigation – water only when necessary – use your finger to see if the soil is dry down 2-3 inches before adding any water), check the forecast! What I wanted to Plant if I had more sun…. Time and Water: Precious resources wasted on the pursuit of a green lawn! How to save money on your new garden? Donations from friends– but be CAREFUL! Less watering needed when planted in the fall – and choosing drought tolerant plants and shrubs means less/no watering next year! Its not that hard, let me know if you have any questions! There has been significant interest in the development of grass varieties to better meet the challenges of today’s turf conditions. The restrictions on cosmetic pesticides and outdoor water use have resulted in increased maintenance required for traditional turf grass varieties. In Ontario, turf is typically composed of cool season grasses which include Kentucky Blue Grass (KBG), Perennial Ryes and Fescues, each with both positive and negative characteristics. KBG is valued for its colour and its ability to self-repair due to its rhizomatous root structure, which is fairly short making it easier for sod harvesting. Unfortunately, this grass is more susceptible to pest problems including white grubs, chinch bugs and blue grass weevil. Its wider grass blade and shorter roots equates to a higher evapotranspiration rate, leading to increase water demand and/or early onset of dormancy in hot, dry weather. The perennial ryes and fescues have longer roots systems, systemic endophytes (symbiotic fungal presence within the grass blade) to deter pests and have lower evapotranspiration rates compared to KBG, meaning longer periods before the onset of dormancy. The most common downside to these grass types is that they lack rhizomatous or stoloniferous root structures, limiting their ability to self-repair. Essentially these grass varieties are one seed = one plant, whereas the KBG is one seed =colony development. They are typically clump-forming and will need seeding to re-establish areas with die off or damage. To maximize benefits and minimize challenges of all three, over-seeding existing lawns with a mixture of all three is encouraged. In recent years, there have been two new grass cultivars that capitalize on the benefits the three common cool season grass types. They are Regenerating Perennial Ryegrass (RPR) with determinate stolon roots and Regenerating Tall Fescue (RTF) with rhizomatous roots. The determinate-stolons found in RPR grow from an auxiliary bud near the base of the mother plant and grows horizontally at, or just below, the soil surface, creating identical new plants as they grow. 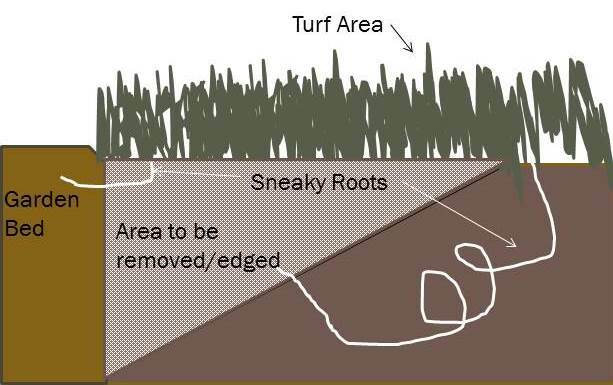 When RPR turf is damaged from an extreme or persistent traffic event, the determinate-stolon roots grow horizontally into the worn areas, developing roots and crown growth in the damaged area. The rhizomatous roots found in RTF grow laterally, similar to the determinate stolons in RPR, spreading underground to grow new grass in bare spots. The ability for both of these root systems to self-repair was a characteristic previously sought after, and only common to KBG. These new varieties now have the ability to self-repair while retaining their beneficial characteristics of longer roots and systemic endophytes. Both are winter hardy and show increased drought and insect tolerance when compared to other varieties of cool season turf grass varieties. RTF’s root system can grow as deep as 1.2 to 1.8 metres to find out water sources and nutrients other grasses can’t. While RPR roots are not able to grow as deep as the RTF, they are shown to have better drought tolerance than other perennial rye grasses and can better stand wear and tear. The Guelph Turf Grass Institute conducted a RTF, RPR and Home Lawn Mix Trial in 2012 looking at alternative grass species for drought tolerance, weed invasion resistance and resistance to insect feeding. 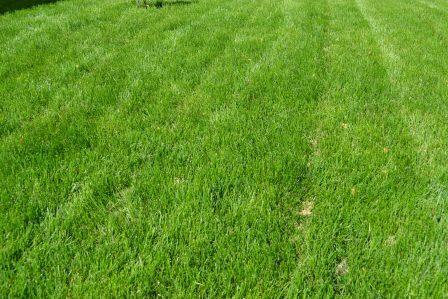 Three turf species were used; Rhizomatous tall fescue (RTF Barenbrug), Regenerative perennial ryegrass (RPR Barenbrug) and Home lawn mixture (50% Kentucky bluegrass, 20% perennial ryegrass 30% fine fescue). Plots of each grass species were either irrigated or non-irrigated. Both RPR and RTF showed greater insect resistance and had fewer bare spots without irrigation than the HLM. The RPR had better resistance to weeds, especially when irrigated, than the HLM, an area that RTF fell short on. So in summary, these grasses should better resist insect damage by grubs and chinch bugs, be able to fill in bare spots so weeds don’t and they will stay greener, longer, during a summer drought. I have started growing the RPR in my front yard and so far I am very impressed. Quick germination, great colour and good coverage. I applied them with compost and I threw on some bone meal in an attempt to discourage birds from eating the seed. I kept them moist during the hot days and they started germinating in four days and were almost fully germinated within the week. If you are looking for a better lawn, I would recommend trying out these new types. They may be hard to find, but worth the hunt. The Cosmetic Pesticide Ban Act (2009) and the changing weather patterns have made lawn care a bit more challenging, but not impossible. A few steps will help you to grow a healthy, hardy, lawn that can compete with weeds and better resist pest and disease. Don’t put up with a bad lawn just because you can no longer apply pesticides. it is possible to have a great lawn, it just takes a little work. Provides a whole range of nutrients; it is like a healthy meal versus just vitamins (fertlizer). Feeds those soil micro-organisms that keep the soil functioning. Increases the water holding capacity of the soil. Only 2x a season is needed, spring and fall. Use a slow release in the fall (no later than Sept 15). Choose one that has a good balance of nitrogen (N), phosphorus (P) and potassium (K). Do not apply it before an expected rain event. A mix of grass species is best, look for a grass seed blend that suits your sun exposure and the amount of wear and tear your lawn receives. Include turf-type ryes and fescues which have longer roots and offer increased pest resistance. Keep an eye out for some very promising new grass species like RTF and RPR which may be listed as “self-repairing”. Aerate, especially for heavily compacted (clay) soil. Overseed with a mix of grass seeds. Leave clippings on your lawn so the water and nitrogen they contain goes right back to the soil. Monitor and properly identify pests so that you know what, how and when to use a control method. If you water your lawn, water properly with a maximum of one inch of water a week, including rain. Avoid ‘sprinkling’ watering which promotes a weak shallow root system. If you don’t water your lawn, don’t start once the lawn has gone dormant, it will stress the lawn. This is a good time to divide plants that were too big last year, or that need revitalizing. Divide with a sharp knife or a double pitch fork. Add water to the hole and also wet the roots. Protect the soil with 2-3” of mulch and don’t pile against plant stems. 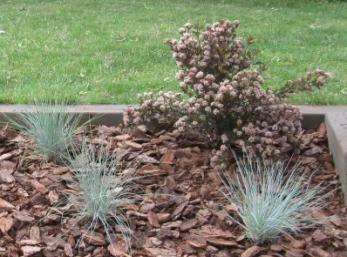 Either wood chips (organic) or stone aggregate (inorganic) will work, but organic is better. 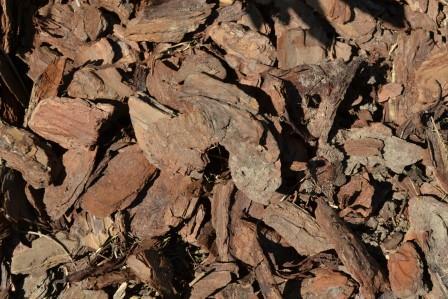 Organic mulch, such as woodchips, are a must-have for any garden. They prevent water loss, protect roots and keeps weeds at bay. Keep your beds edged with a “Dutch Edge” to keep grass out. Keeping your garden beds edged at a 30 -45 degree angle will help deter grass roots from wandering in. When it comes to garden pests and diseases, practice prevention for long term success. Keep your garden soil healthy, make sure there is good air flow through the plants and attract the help of beneficial insects and birds. There are options natural remedies for control, but these are only band aid solutions for the short term, prevention is the best long term solution. It is important that you understand how these work so that you use them right and not kill those beneficial insects. Make sure to properly identify which bug is doing damage before setting out to destroy it. Properly ID which bugs are doing damage. 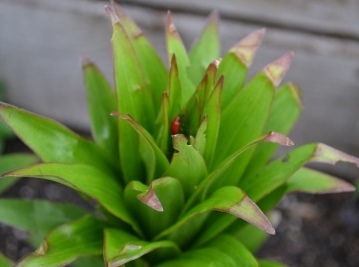 This is the Red Lily Beetle, which cause problems for the Asiatic Lily. Not a beneficial bug for your garden. Preparation and maintenance is the way to keep your gardens blooming beautifully. If you have a lawn, see our blog on how to maintain it so it too is ready for the season. Like any good relationship, these two bring out the best in each other. 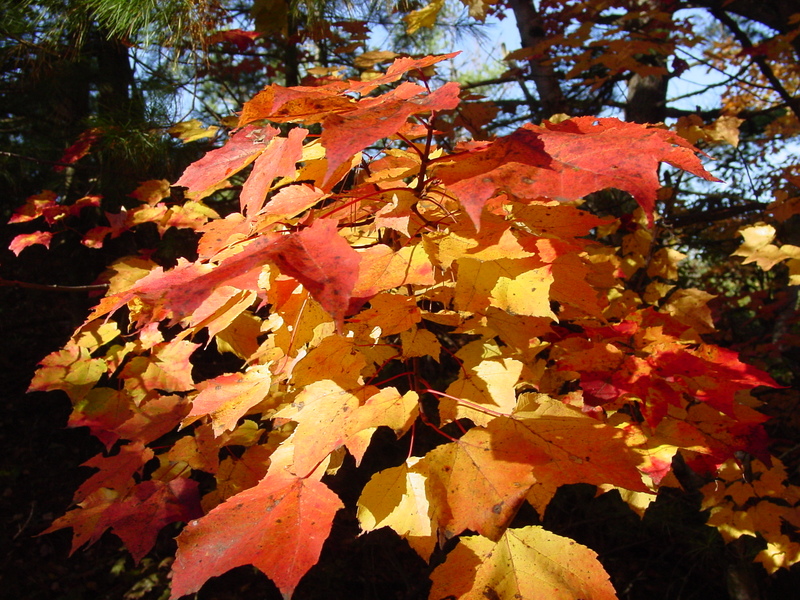 Flowers will come and go but foliage colour lasts all season, and both of these deliver. Planted together they make a charming combination in the spring when the Ninebark has its pinkish-white cluster flower tufts. As the season wears on, this turns into an eye-stopping bold partnership as the blue-gray of the Blue Fescue grass (Festuca glauca) brings out the bold red wine coloured leaves of the Ninebark (Physocarpus opulifolius). A great combination with three season colour! These plants are both low maintenance. 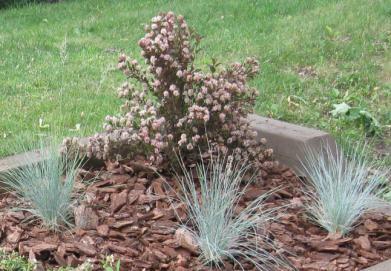 Blue fescue grass is a well behaved, clump-forming, drought tolerant ornamental grass. They have the best affect in the garden when planted in 3’s (or larger odd numbers), either together or echoed throughout your garden. Ninebarks, also drought tolerant, come several leaf colours and are now available in a dwarf version. Depending on your preference, you can allow this shrub to grow freely, or prune after flowering to maintain a more managed shape. Water: Both of these plants need very little water, if any, once it is planted. Water only after two weeks without rain. If you are planting in sand, the blue fescue may need watering in the heat after 4-5 days. Shopping: These are both very common plant that are easily found at garden centres. I love the trend to grow your own vegetables at home, it is better for the environment, gets you outdoors and active, and can be very rewarding. 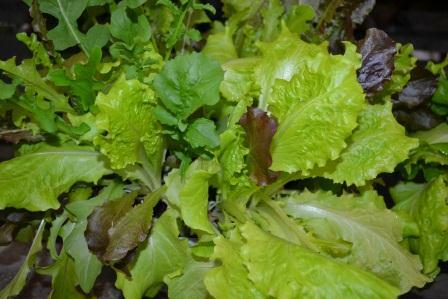 However, there are some risks to growing your own vegetables, mainly growing them in soil that has been contaminated with lead or other heavy metals. 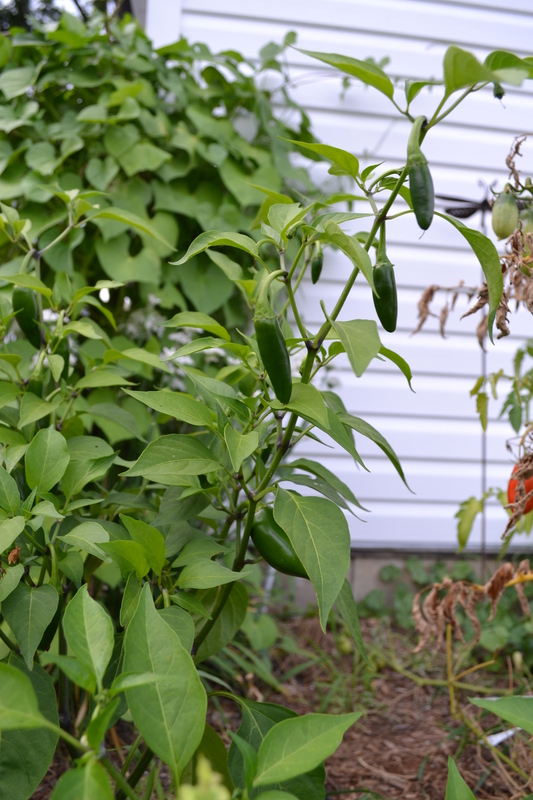 Are your jalepenos packing more than a spicy kick? Testing your soil for lead is worth it to make sure you have the healthiest, home-grown produce. 30 metres from major roadways or parking areas that are older than 30 years. The costs for soil testing are in the range of $40 – $100. If you think your soil may be at risk for lead contamination, it is worth the money. Your Lawn : To Water, or Not to Water? How can you keep your lawn healthy when it’s hot and dry? 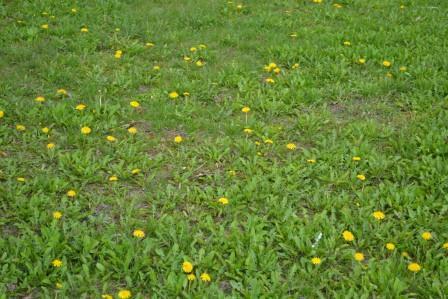 If you want a green lawn when the weather is hot and dry, it is going be tough, as you are fighting Mother Nature. You see, in northern climates, including Southern Ontario, turf is composed of cool season grasses such as Kentucky Blue Grass, Fescues and Perennial Ryes. Their most active growing periods are in the spring and fall when temperatures are moderate and precipitation events are more frequent. These species have their dormancy period during the hot and dry summer months and over the winter. 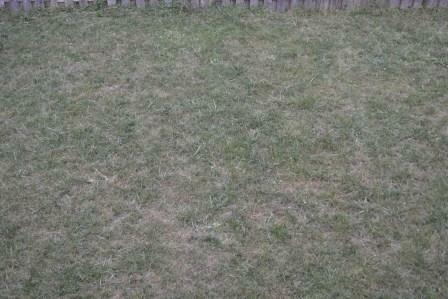 Lawns in northern climates naturally go dormant when the weather gets hot. So, our turf is smart; it knows when the best times of the year are to grow and which ones are not. When it gets hot and dry, the grass begins to go dormant to protect itself from stress, damage and possible death. 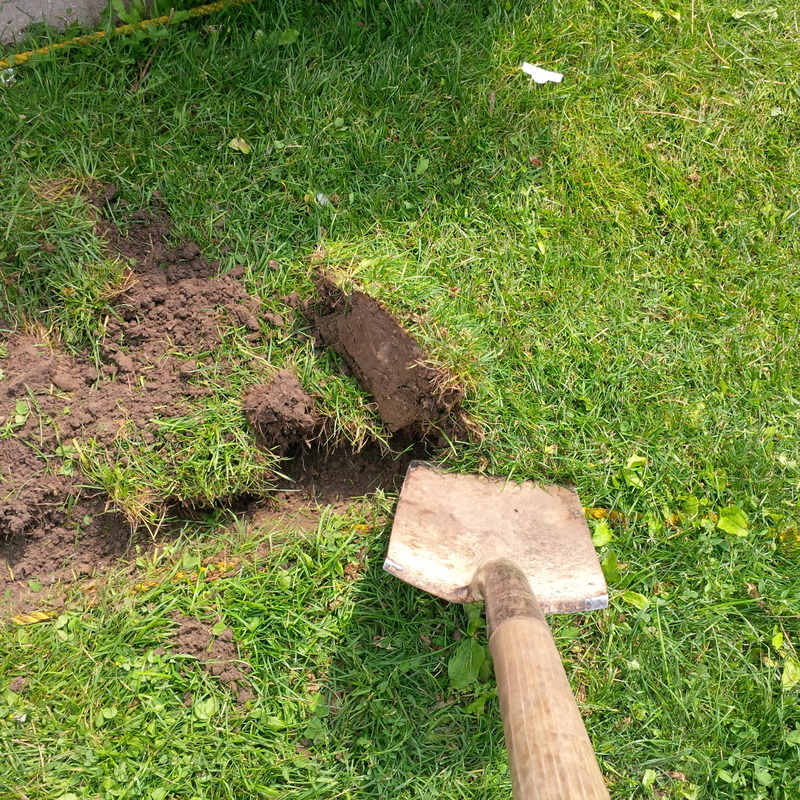 According to the Ontario Ministry of Agriculture and Food, healthy cool season turf grass can survive up to six weeks without rain during the summer. Keeping your grass green and lush during a hot dry summer will take work and a LOT of water. You will have to continue to water your lawn throughout the summer to prevent the grass from ever going into dormancy. It may mean a fabulous looking green lawn, but you are breaking the turf’s natural tendency to go into dormancy. You will also be wasting drinking water, water that has to be pumped, purified and delivered to your tap by your local municipality. That takes a lot of energy, energy that causes carbon emissions, contributing to smog and poor air quality. And then you get your water bill… Although we don’t pay a lot for water in Canada, it still adds up. You won’t have to mow your lawn so often. Less money spent on your water bill. More time to spend doing fun things with your friend and family, instead of worrying about your lawn. You be reducing the demand on municipal water systems and air quality. No more wrestling with the hose. You are helping the environment by doing absolutely nothing. Option 2: Be that guy and spend your free time, energy and money fighting Mother Nature to keep your lawn from going dormant. You may have the best looking green lawn on the block, but you may end up being the oddball on the block. Across Canada, almost half of the population no longer waters their lawns, less than 20% water their lawns on a regular basis. A green lawn that will need a LOT of water! A green lawn that stands out. 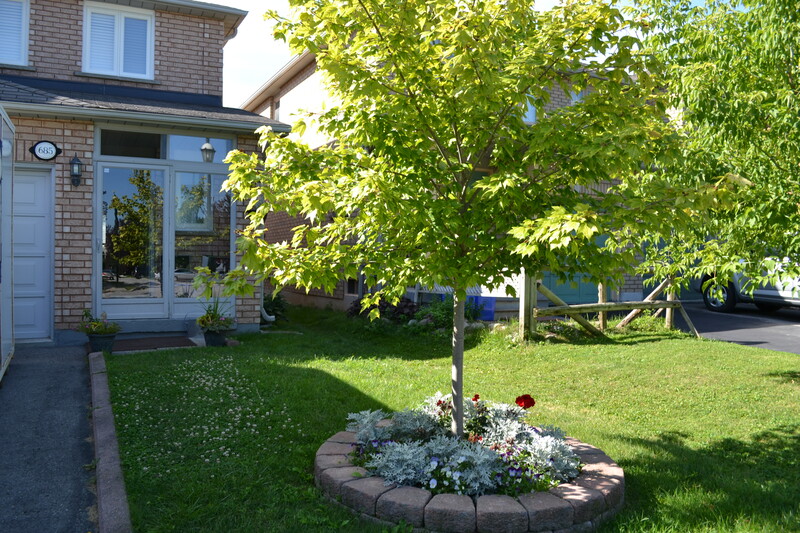 Neighbours will walk by and comment on how your lawn is one of the few on the block with a green lawn. The time spent watering and mowing your lawn means you will have less time to spend with your in-laws. Who know what fabulous ideas you will come up with while you spend hours mindlessly watering and mowing the lawn? 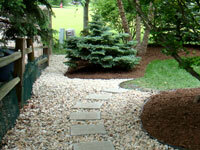 Option 3: Consider alternatives to turf. Typically you see suggestions to get rid of your lawn and plant a garden. Healthy turf can go six weeks without water. If you are replacing your lawn with a garden, make sure the garden won’t need more water and maintenance than the lawn would have. 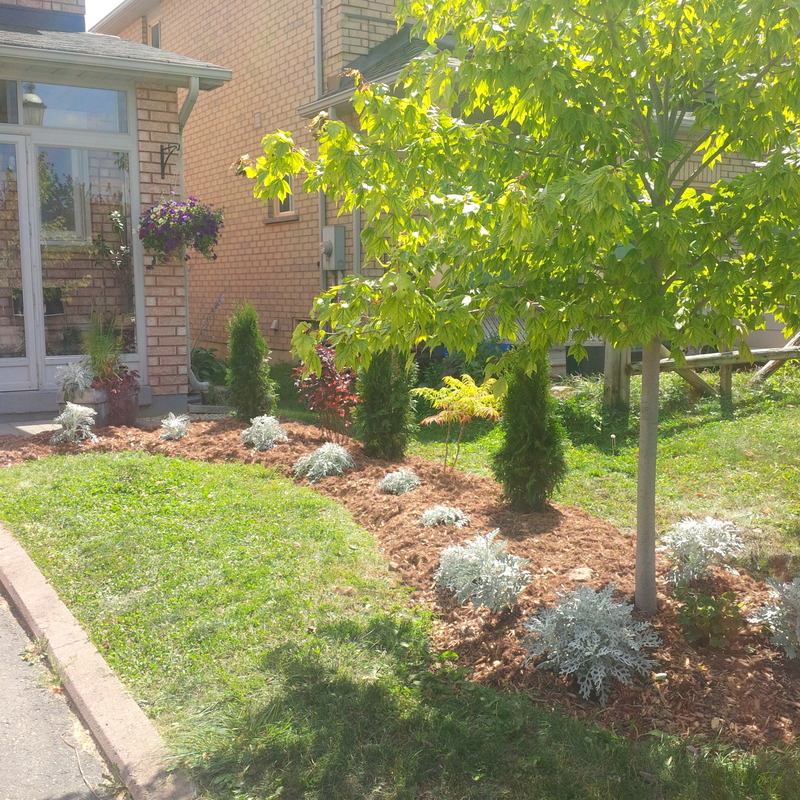 Consider sedums, succulents, decorative stonework, mulched areas, larger deck and outdoor living areas or more tree and shrubs (with mulch, good soil and the right species, an established shrub bed can last weeks in a dry spell). You could also try a clover lawn, which stays green in the summer and fixes its own nitorgen, eliminating the need for fertlizer! 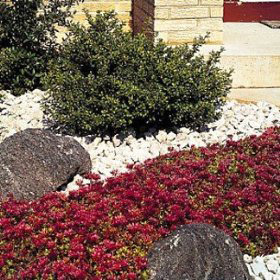 A trendy, easy to care for alternative to the suburban lawn. Better looking landscape in a drought. More livable space to spend all the extra time you will have with your loved ones. Better curb appeal for your home. 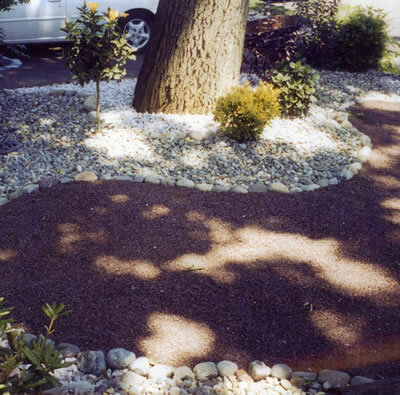 Here is a link to another blog with some nice ideas for lawn alternatives: http://jocelynsgarden.blogspot.com/2011/08/garden-designers-roundtable-lawn.html (it is from down south, but use the concepts, they still work up north).